The purpose of the archival department is to collect, preserve, and make accessible those materials related to the history of the college. Welcome to the Online Version of the Georgia Highlands College Archival Department! First of all, a quick disclaimer is in order--this is the abbreviated version of the physical archives office, housed in the GHC Floyd Campus Library. The actual office contains well over 95 linear feet of materials (including graduation programs, catalogues, back issues of the Old Red Kimono and Six Mile Post, newspaper articles about the history of the college, photographs, CDs, DVDs, accreditation documents, committee minutes, various departmental reports, factbooks, etc.). This box contains a comprehensive listing of all archival documents thus far collected by the library. The shelf list is even more helpful in the sense that it provides a physical layout of how the various documents are arranged on the actual shelves of the GHC Archives Room. A large number of these documents have already been digitized and now appear on this Research Guide Web page. However, a fairly large number have still not been digitized. It is the long-term goal of the college archivist to digitize all of these hard copies. In the meantime, individuals may still request access to these documents by emailing the college archivist who will then scan the needed document and send it via email to the person requesting the item. Videos will have to be viewed by appointment only and in the archival office, itself. No archival documents, or image files can be checked out or removed from the Archives. 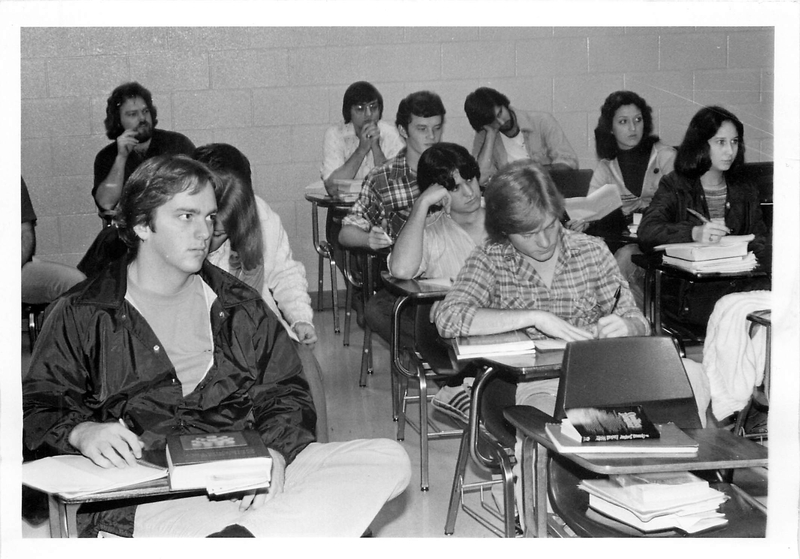 In the fall of 1970, Floyd Junior College opened its doors to 545 students in temporary classrooms based at the old Metro Building in downtown Rome, Georgia. By the Christmas break, four new academic buildings occupying ground at the current location on Highway 27 South, had been built and were ready to receive students for the Winter Quarter, which began in January of 1971. At the end of the Spring Quarter of 1971, the college presented its first and only associate's degree to Claudia Williams, a transfer student, making her FJC's first graduate. In the fall of 1971, FJC's first nursing class of 100 enrollees began taking courses. The first major graduation ceremony for the college took place in June of 1972. With every passing academic year, enrollment continued to climb. By the Spring Quarter of 1975, over 1,400 students were enrolled at the college. In order to gain and maintain its accreditation, Floyd Junior College implemented its first Self-Study in the fall of 1974, and by December of 1975, the report was ready for submission to SACS (the Southern Association of Colleges and Schools). By then, the college had also built a library and added the F-Wing to the Main Administrative Building. The college was awarded accreditation shortly thereafter. The late 1970s and early 1980s was a time characterized by dramatic enrollment fluctuations. Much of this pattern could be attributed to fluctuations in the larger economy. Typically, when the economy boomed, enrollment declined and vice or versa. By 1984, enrollment had dropped to 1,275 students. On July 1, 1988, Floyd Junior College became Floyd College, in large part, to shed the somewhat negative connotation that the term, "junior," evoked when referring to an institution of higher learning. Transitional Period, 1992-2000 . . .
Dr. David McCorkle, as FJC's first President, retired in 1991, and was succeeded by interim President, Dr. Richard Trimble. In the fall of 1992, Dr. H. Lynn Cundiff became Floyd College's second permanent President, and a new era was born. Dr. Cundiff supported the expansion of Floyd College's service area into the Cartersville area, and also spearheaded the push to make Floyd a national leader in promoting the usage of computer technology in the classroom. By the fall of 1997, all of Floyd College's 3,000 students were issued their own laptop computers and encouraged to master the new technology as part of their educational curriculum. A vigorous economy, and other factors, contributed to a significant enrollment decline over the next three years as the Floyd student body dwindled to slightly more than 2,000. Dr. Cundiff left the college in July of 2000. Pierce Era . . .
Interim president, Rob Watts, took the reins until Dr. J. Randy Pierce assumed the presidency in the Spring of 2002. Under Pierce's capable leadership, the college expanded and enrollment climbed once more. By 2005, the year that Floyd changed its name to Georgia Highlands College, enrollment had rebounded and exploded to an all-time high of 3,817 students. Before his retirement in December of 2011, Dr. Pierce would build a legacy that endures today, as manifested in the expansion of Georgia Highlands College's satellite campuses into four metropolitan Atlanta counties, the institution of the college's first 4-year degree programs, cooperative agreements with Kennesaw State University and the University of West Georgia, and, last but not least, the introduction of intercollegiate athletics. As of November 2012, GHC's enrollment stood 6th (among the state's 14 two-year colleges) with a total of 5,533 students taking courses. Dr. Renva Watterson served as the interim president from January 2012 until August 2014. Dr. Donald Green was named GHC's newest President by the Board of Regents in early June, and is scheduled to assume his office in September of 2014.